Five New Restaurants You Can’t Miss This Summer in Raleigh, N.C. The weather is not the only thing hot outside! 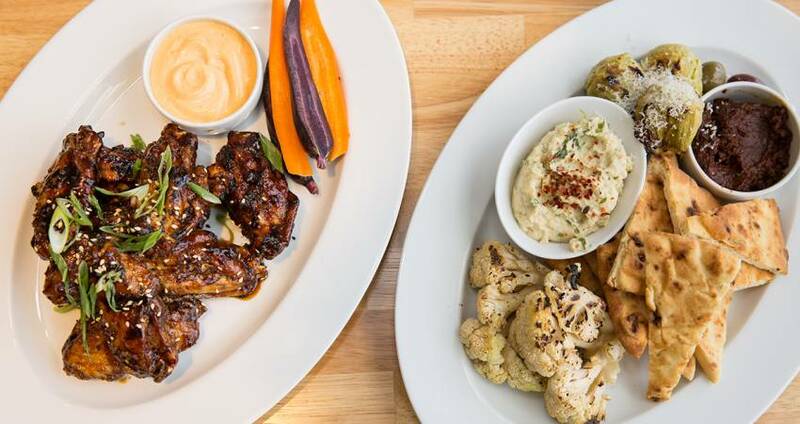 The restaurant scene is heating up with these five can&apos;t-miss restaurants in the City of Oaks. We&apos;ve put together a list of some of the newest spots for you to try! Executive chef Oscar Diaz and proprietor Charlie Ibarra bring you the Glenwood South downtown district&apos;s newest concept, The Cortez. Fresh, eclectic seafare and handcrafted cocktails comprise the menu. Expect to find fun offerings like the "MexRib," featuring a house smoked baby back rib and pork shoulder patty served on a buttery brioche bun and topped with Carolina gold BBQ sauce, pickles and onion. Oyster love? The Cortez offers dollar oyster happy hour from 5-7pm, Tues. through Sat. and all day on Sun. Whatever you do, don&apos;t skip dessert! The crème brûlée is the perfect creamy consistency and offers a sweet crunch from the caramelized sugar. Enjoy a gastronomic journey across the Italian culinary landscape at downtown Raleigh&apos;s Mulino Italian Kitchen & Bar. Begin your meal with a variety of anitpasti options like a charcuterie and cheese board or bruschetta with oven-blistered cherry tomatoes, oregano oil and shaved Parmesan. Pasta dishes are rich and full of flavor, like the house made gnocchi smothered in black truffle butter Parmesan fondue. Belíssimo! Located in Raleigh&apos;s North Hills, 41Hundred (pictured in header) is the new concept inside of the Renaissance Raleigh North Hills Hotel. Offering simply-sophisticated, international cuisine crafted by executive chef Dean Thompson and team, 41Hundred&apos;s menu includes shareable plates best enjoyed with a group. Don&apos;t miss the oxtail poutine, Korean BBQ wings and tuna poké. For dessert, the hot cheesecake is always a good idea. Only two chefs in the world know the secret recipe! Founded by Sunny and Sophia behind the Pho Nomenal Dumpling Truck, MOFU Shoppe is now open in downtown Raleigh&apos;s historic City Market. After winning $50,000 on Food Network&apos;s Great Food Truck Race with Tyler Florence, the women put their earnings toward this new brick-and-mortar restaurant. Menu items at MOFU Shoppe are inspired by the foods commonly eaten in several Asian countries but with Southern influence. A selection of small plates lead the menu featuring crowd favorites like the pork and chives dumplings along with crispy smoked pork belly. Large plates not to miss are the five-spice duck and buttermilk fried flounder tacos. Oysters and rosé are all the rage this summer. Located in the heart of downtown Raleigh, St. Roch Fine Oysters + Bar is serving up fresh N.C. seafood with a touch of New Orleans flare. The oysters are served with the most unbelievably-delicious fried saltine crackers, and you can order them roasted or raw. The cold crab salad is a refreshing option to enjoy on a hot summer day and features lump crab and poached shrimp with downtown Raleigh bakery Boulted Bread&apos;s ciabatta for that perfect, extra crunch.